A key piece for your maternity wardrobe, with over bump lycra pants that are a must have for fashionable MOMs-to-be. 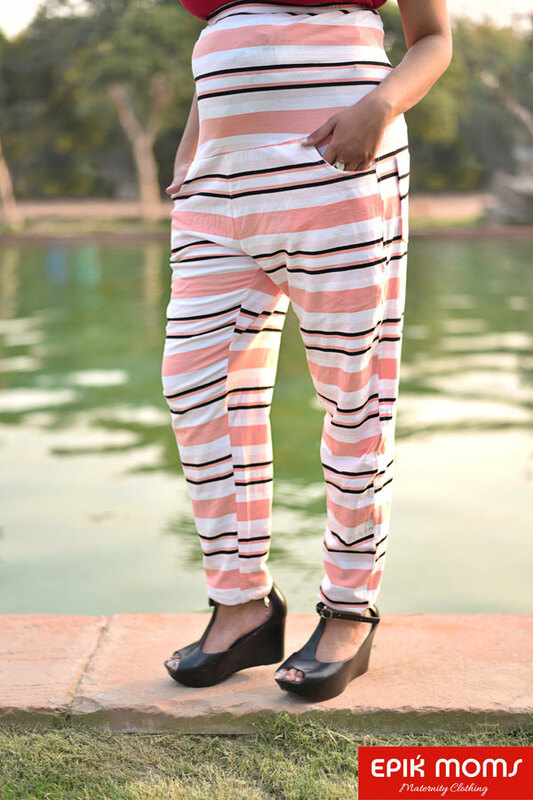 These cosy pants feature a trendy straight leg. Comfortable on the belly, these lowers can be worn with kurtas or with your favourite top. With built in belly support, these maternity pants are great for outings or work wear.